﻿​​﻿​﻿If you are looking for the fastest, most affordable towing service in Central Florida then you've come to the right place. ​We are Orlando Towing Company and we would be happy to assist you! For over 25 years, Orlando Towing Company has provided the highest quality towing services in this area and we're happy introduce you to our mobile friendly website! Our customers claim us as the number one towing services provider in all of Orlando and Central Florida! ﻿In need of a tow truck or wrecker service in Orlando? Our tow truck drivers are second to none and can get you out of any jam. Call with your address, model and make of your vehicle. and let us get you taken care of today! Caught a flat or ran out of gas? We get it, life happens and no body has time for that! Orlando Towing Company provides the highest quality roadside assistance service available!​ Don't believe us? Call now and see for yourself. Orlando Towing Company has the best flatbed tow trucks in all of Central Florida. If your vehicle has special modifications like it being lowered it's best you get one to prevent any further damage to your vehicle. We're on standby now, call today! Orlando Towing Company provides affordable, flat rate tows for all of our customers. A true no-hassle towing experience like no other, We and our trusted partners believe that the flat rate tow is the most efficient and customer friendly service we can offer. Many different factors are considered when doing long distance towing and we have all the necessary equipment to handle your logistics. Call or email to set up your long distance tow today! 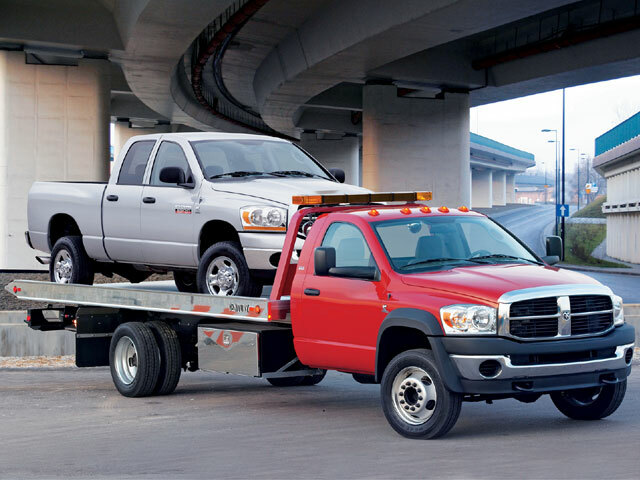 Accidents happen and when they do you'll want the best towing company there to assist you. We have flatbeds that can get your car out of any situation. Your safety is our number one concern. ​"We are truly excited to be launching this new website for our central Florida drivers. We understand how frustrating it can be to have a car break down at an inconvenient time or be involved in an unexpected accident. This is why we’ve created the new Orlando Towing Company website. Whether a resident is in need of a wrecker after an accident or finds themselves broken down or locked out in the middle of the night, our new mobile-friendly towing website, with tap-to-call technology makes it easy to contact our experienced technicians for help 24 hours a day, 7 days a week. I have personally taken calls at 3:30 am for my customers because I believe that's what it takes to earn your business. We offer a full suite of options for drivers who have experienced a car breakdown, accident, or are otherwise in need of help. Our towing service is available for emergency situations as well as to haul heavy-duty trucks or move vehicles long distances. Orlando Towing Company and our partners have also made emergency Roadside Assistance available to customers who may need a jump start, experience a flat tire, run out of gas, or are locked out of their vehicle. We offer discounts for customers who review us on Google + and Facebook! Here's a word from our towing partner! 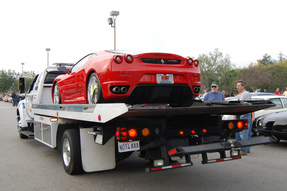 "While the likelihood that you may need towing services in Orlando every day is minuscule, it is however likely that you will need these services at some point in the future and when this day comes, it is only those who have the contacts to an excellent, reliable and efficient towing company who will be saved from the situation in which they find themselves. Why choose Orlando Towing Company as your emergency towing service provider? We believe that towing calls for excellence and efficiency. Time is money and we strive to provide the quickest, most efficient and professional emergency towing service available in Orlando. We've always believed that the client should always come first, be treated with respect and that the tow truck driver should show professionalism at all times. We are a true 5 star towing service. Not only are all of our tow trucks in excellent shape, our tow truck drivers and dispatchers are highly trained and have over a century of combined towing service experience to assist with your towing or roadside service needs. Whether it's a flat rate towing service, wrecker service or any other towing service, once you call Orlando Towing Company and see our service first hand, you will never call another towing company in Orlando. In addition, we offer flat rates for a true no hassle towing experience. Our flat rates and elite team make us a highly dependable and flexible. No matter where you are or whatever crazy inconvenient time it is, Orlando Towing Company can assist you- and we will do so in an impressive, efficient and timely manner, guaranteed." "Driving through Azalea Park at 3 a.m. my Chevy broke down. I called Orlando Towing Company and said I was in Azalea Park and the operator Beau took great care of me. The driver arrived and he was very fast with the service. I had mentioned to Beau that I'm a diabetic and I needed sugar so they would need to be fast and what does he do? He gets his towing driver to bring me a Snickers and a Coke! Thank you Beau and Al! You guys rock!" Henry L.
" On vacation and staying with my brother in Winter Park my rental car decides it doesn't want to work anymore so I needed a tow truck. Beau answered and was extremely helpful and understanding regarding my towing experience in Winter Park. The driver was at my car within 20 minutes too. My towing experience with Orlando Towing Company was very pleasant to say the least." Tyler I. "I got into a really bad accident where I needed a wrecker. Beau from Orlando Towing Company answered the phone and was attentive to all of my needs. After being in an accident, it was nice to know the person on the other end of the line cared about my well being vs. just the tow. I highly recommend using this company for any roadside requests. in Central Florida" Ashley W.
Superior Home Solutions is veteran owned and operated and can assist with any home remodeling job in Omaha, Nebraska. To get the best Omaha bathroom remodel contact them today! AC Repair Stockton CA The best ac company in Nor Cal! Call them for the best air conditioning and heating repair service today! The best concrete pouring and e concrete pouring and excavating company in Council Bluffs Iowa!